Mentioned time and time again, my most purchased makeup products are definitely bases. I will forever be on the hunt for the perfect product. All for the sake of the blog, of course. Trust me, so many purchases are justified with this reason, even if some of them never make it on here. But when I ran into a pharmacy to take shelter from the torrential downpour that had just broken free from the clouds a couple of days ago, I was tempted by the shiny Vichy display and I made another base purchase. 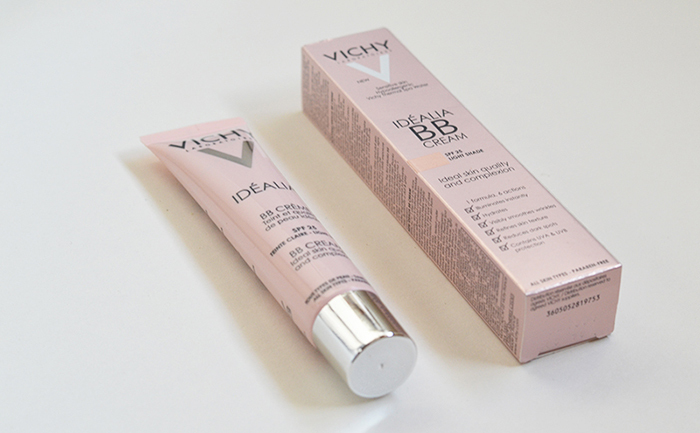 The Vichy Idéalia BB cream. This BB cream was designed to illuminate the skin and hydrate it while correcting discoloration and protecting it from harmful UV-rays. It is available in two shades, light and medium. And it has an extremely light coverage. 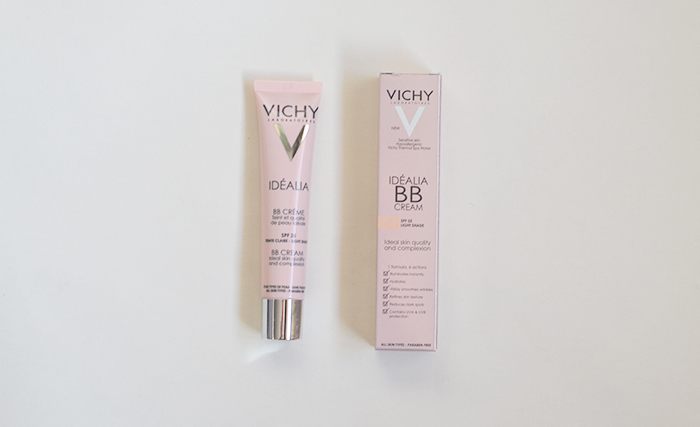 For anyone familiar with the Vichy Idéalia Life serum, the BB cream holds a scent very much like the serum. To me it’s wonderful, but some of you might dislike using a product that holds perfume. I’m allergic to a lot of perfumes, and my skin is not bothered at all by this. The BB cream was thicker than I had initially thought it would be. It’s very similar to the consistency of the Dior BB cream. Remember the one I raved about all the way from August through November? It is incredibly easy to smooth over the skin and blends effortlessly. Partly because the coverage is so incredibly light. At first it looks a little too glowing for my taste, even if I thought that wasn’t possible. Because you know, I really do love me some glow. But there is a difference between looking glowing and looking like you just ran a half marathon. But don’t be scared, this dries to a lovely smooth matte finish that looks like you are lit from within. I am serious. The finish is perfect. I use a concealer to cover any spots or redness, but when my skin is having a good day, I just use it on its own with a little bit of blush on my cheeks. Simple, natural and beautifully healthy. This is a great base. I might even start to appreciate torrential downpours if they lead to product discoveries like this.